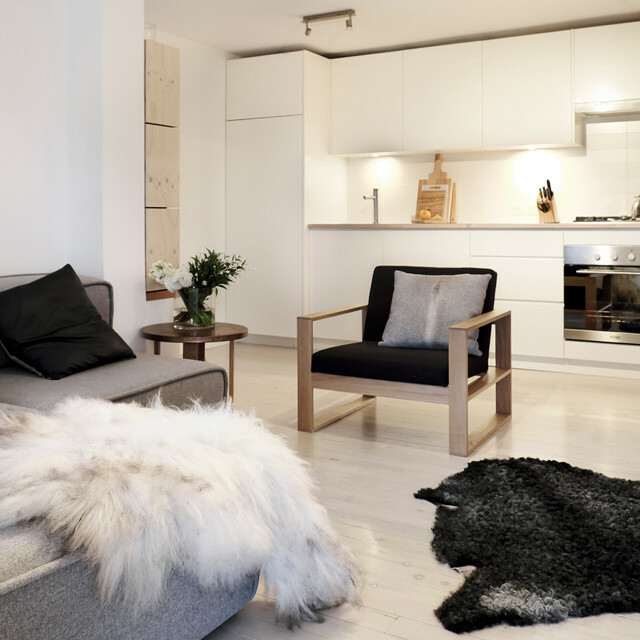 love the "minimilistoc home but anything but bare" touch...so true! ...simple but very effective! ...love the colour sheme and use of materials! ....clean and natural, fresh and homely! The renovation was completed by A.M Custom Builders and occurred in three stages. The first stage included general cleaning of the apartment and repainting walls (those they intended to keep). The second stage was more extensive so the couple had to move out. The kitchen, which was previously a small nook where the living area is now located, moved to the back wall to create an open-plan area more suitable for family living. The bathroom shifted from where the kitchen currently is to an ensuite off the main bedroom. The final stage involved the decking and landscaping.